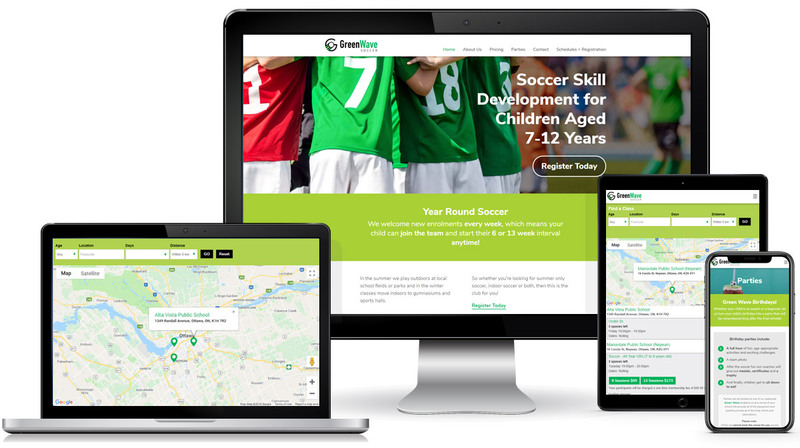 Greenwave Soccer provide football classes for school age children and are based in Ottawa, Canada. They were early adopters of our GemaActivity software-as-a-service solution and have helped shape its development. GemaActivity provides a full management system with customer records, class registers and booking management. It comes with an online class finder and booking system with live availability and links to several payment gateways such as PayPal and Stripe. This can be added to your existing website.